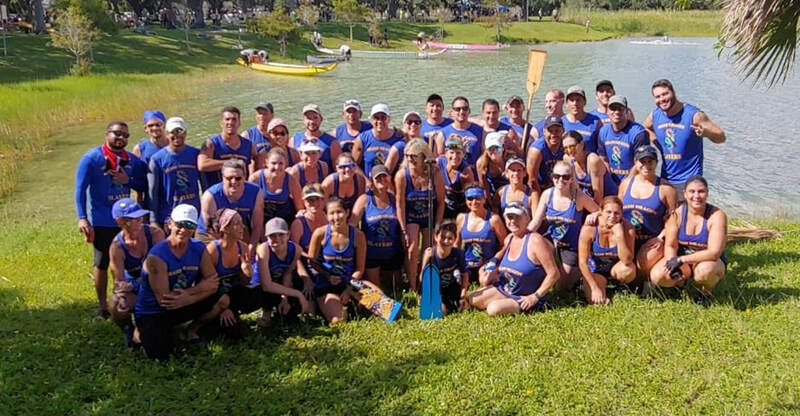 Dragon boat racing is the ultimate in competitive paddling sports. 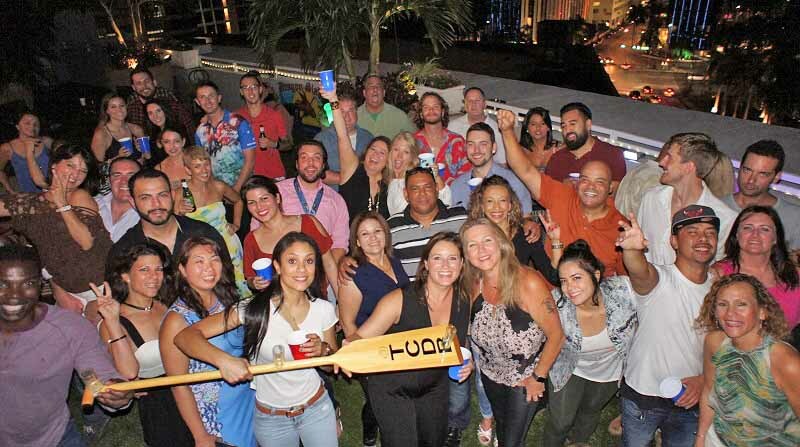 It is a fast-paced, fun, team-oriented water sport, requiring cooperation and synchronization among its paddlers. 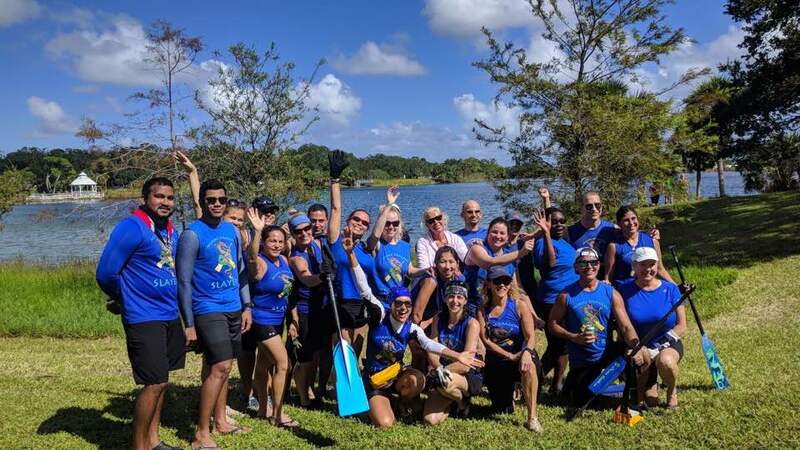 If you are looking for a new challenge, come for a free session and try your hand at dragon boat racing with the Miami Dragon Slayers. 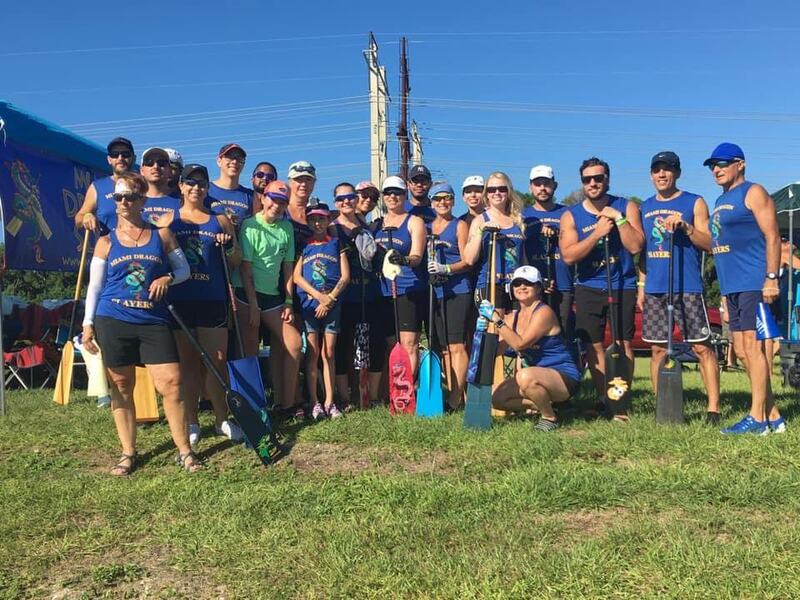 No experience necessary and we provide the equipment (paddle and life vest) for getting started. 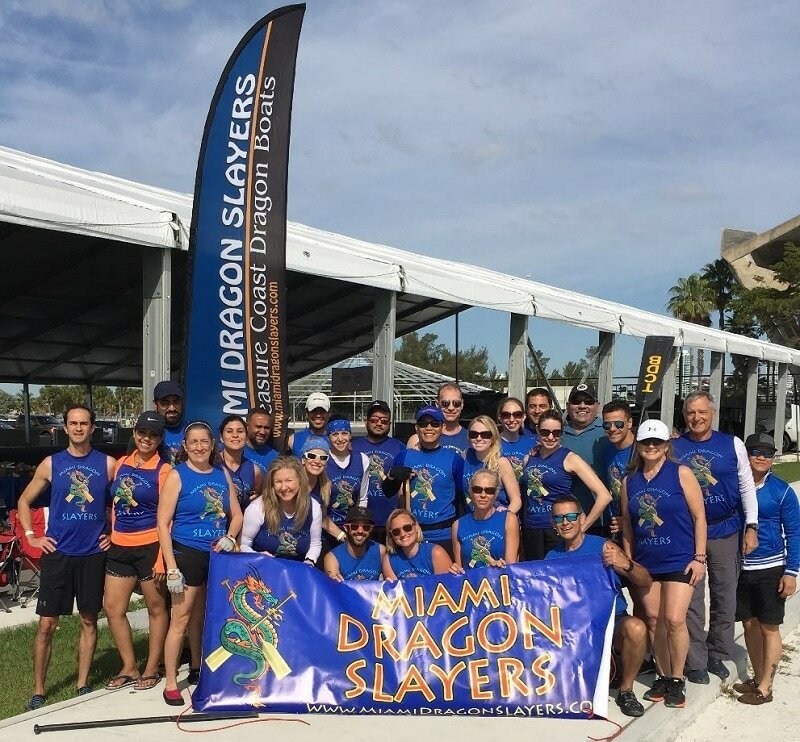 The Miami Dragon Slayers dragon boat racing team was established in 2006. The team quickly grew into a major force in the southeast. 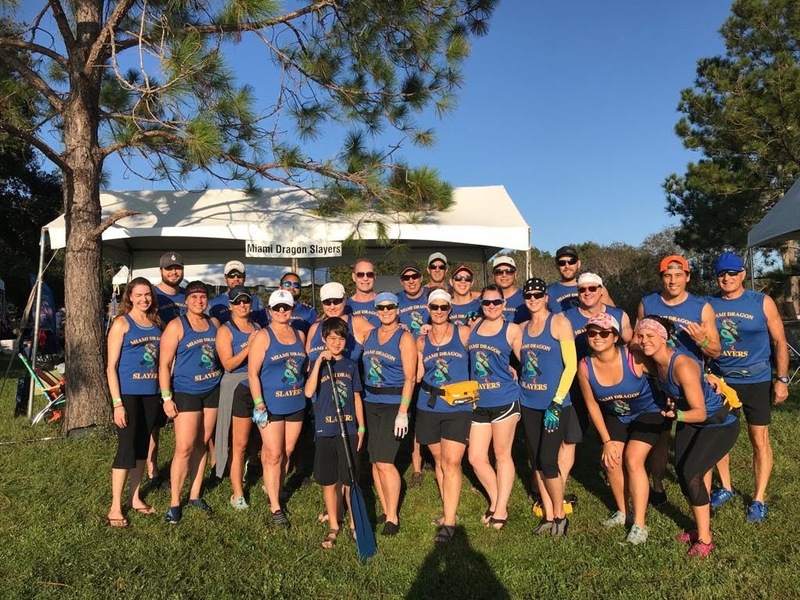 We compete in dragon boat races throughout the U.S., and internationally. 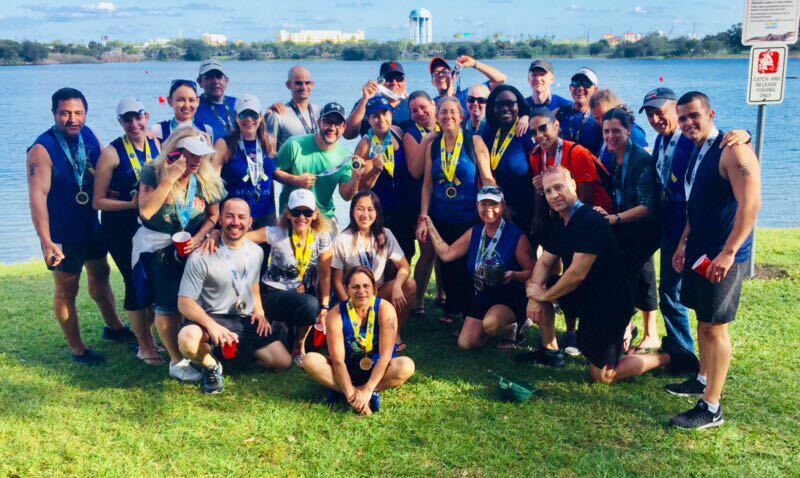 We are fortunate to have an excellent professional coaching team to help each of us expand our skills and reach our maximum potential and competitive goals. 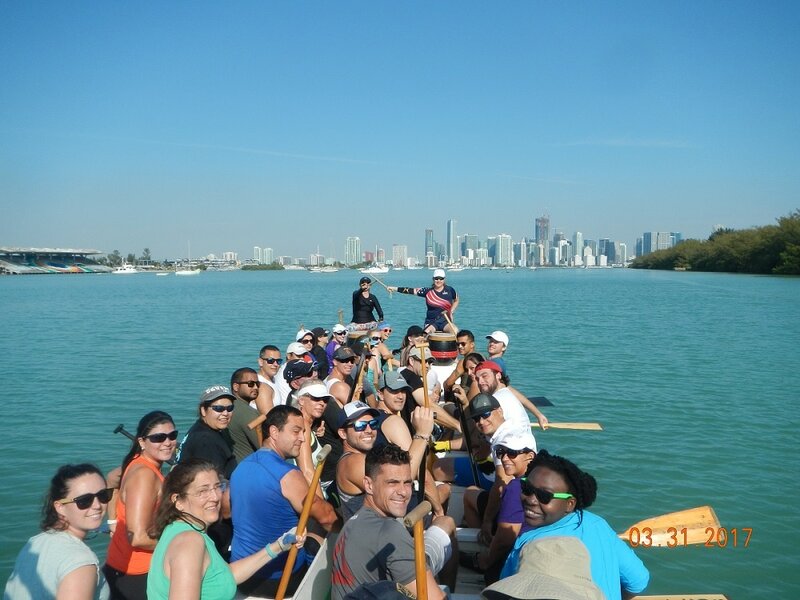 Practices are held at the beautiful Miami Rowing Club on Key Biscayne, overlooking Downtown Miami.